How time rolls around quickly. 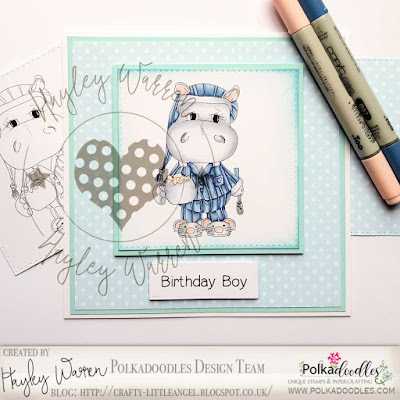 Today is Friday, which can only mean one thing: A new challenge on the Polkadoodles blog. As usual the theme is anything goes. The DT have been challenged to use pastel colours. 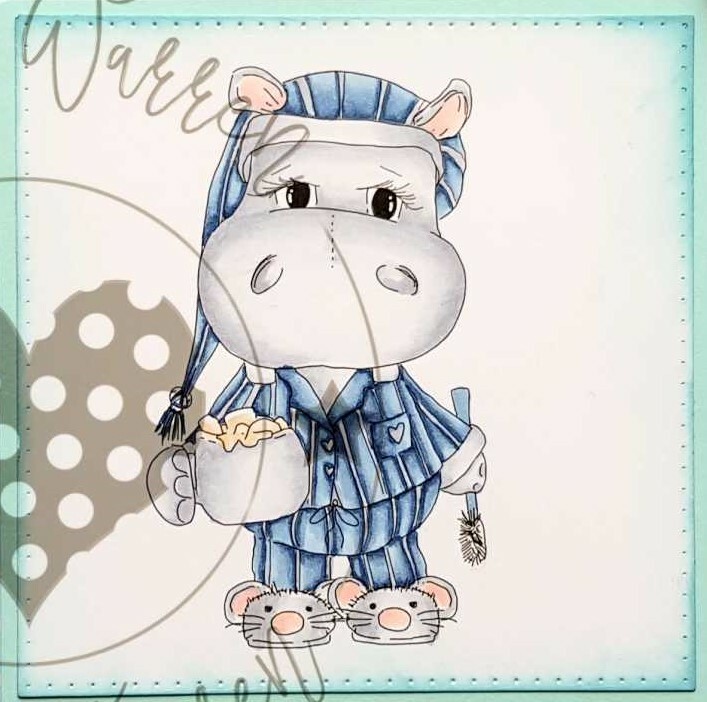 I couldn't resist using Helga Hippo Bedtime from the Helga collection. I paired this with papers from the Baby Boom digital craft kit to create a really soft pastel male card. I have coloured the image with copic markers. 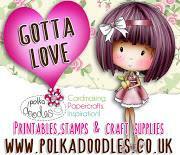 Please feel free to join us in the challenge, we would love to see your crafty makes.